This software is a GUI (Graphical User Interface) which allows you to easy assemble PIC programs. It uses gpasm software, an assembler for PIC microcontrolers. The soft is the equivalent of mpasm under windoze. It has nearly the same functionalities as mpasm. The software is made in C. It uses GTK toolkit for the GUI (graphical user interface). I can successfully compile it since the mandrake 7.2 (but it may also work with previous versions). This software was created because I needed a tool to easily compile small PIC programs. Please see README file (in english). 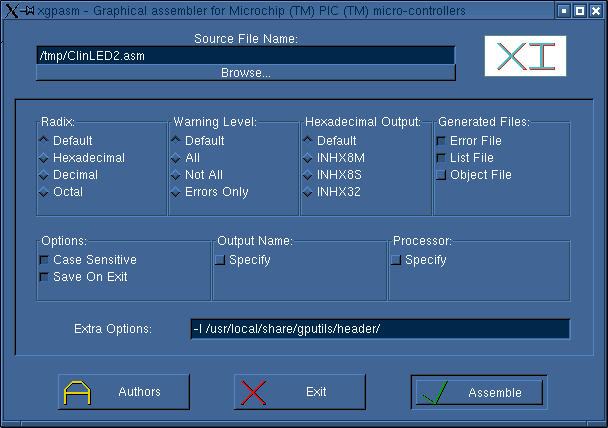 Gpasm, assembler for PIC microcontrolers (needed by xgpasm): http://gputils.sourceforge.net/. All you need for PICs microcontrolers under Linux: http://www.gnupic.org/. 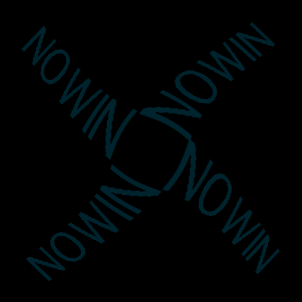 There is to way to install the software: either you chose the .rpm file, this is a binnary version of my sofware, that is to say it includes the executable; or you chose the .tar.gz file, which contains sources files and what ever you need to make an executable. Try to chose a .rpm corresponding with you distribution version. To install it, simply start your file brother, and click on the .rpm file you have downloaded. It should install itself. You can install if from a console: start by login you as root. Then go in the correct directory, and type: "rpm -ivh <name_of_the_file.rpm>" (without the " and without <>). If there are some dependencies problems, this is generally because my software uses a library which is not present in you system. So you can either try to install this library using your installation CD, or try a different .rpm file (if there is one), or try the .tar.gz file (generally the best solution). Type "tar zxvf <name_of_the_file.tar.gz>" (without the " and without <>), this will uncompress the files in the directory <name_of_the_file>. Then go in this directory. Then type "make", this is going to compile the program, and create an executable file. At last, type "make install", this is going to install the executable file in /usr/local/bin directory. You can now launch the software by typing search or /usr/local/bin/pdfsearch (try both). In order to see errors, you must check the "Error File" box. Otherwise, you won't be able to see errors in the result window. In the extra options field, you have to put the full path to PIC headers files. For example put "-I /usr/local/share/gputils/header" (without the "). The program uses gettext in order to display messages according to your country. Unfortunatly, I can't get it working, that is to say the software is always in english .... I would be very glad if someone could find why.